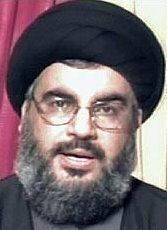 Now that the fighting has stopped, however briefly, Hezbollah and its many supporters in and outside Lebanon are claiming a great victory over Israel, while in Israel an agonised post mortem (or post mortes) is already going on to establish who's to blame for what Israelis seem determined to regard as the country's first defeat and humiliation at the hands of its enemies. However, there are two reservations to be made about these apparently consistent verdicts. First, it's far too soon to judge which side has 'won' the encounter: meaningful verdicts need to be suspended until we know how long and to what extent the cease-fire holds, and above all the extent of successful implementation of UN Security Council Resolution 1701. Secondly, if the major elements of res. 1701 are implemented (a big 'if', certainly), Israel's principal objectives in launching its counter-offensive will have been achieved and Hezbollah's capacity for resuming its attacks on Israel will have been effectively degraded or even eliminated. It would be difficult to interpret such an outcome as a defeat for Israel or as a victory for Hezbollah. Conversely, if attempts to implement the resolution fail (for whatever reason, whoever is responsible for the failure, and leaving aside the likelihood of many setbacks along the way), Hezbollah will be free to replenish its armoury of rockets and other supplies, it will retain its presence in southern Lebanon up to the Israeli border, and it will be free to resume its attacks on Israel, in which case it will emerge as effectively the winner, and Israel as the loser. So everything is still to play for. Whatever happens, though, it's safe to say that Lebanon is the loser, having suffered appalling loss of life and other casualties along with extensive damage to its homes and infrastructure. It will depend on your personal prejudices whether you lay the principal blame for this disaster on Hezbollah for its policy of siting its rocket launch pads in heavily populated civilian buildings and districts (hoping that reluctance to risk heavy civilian casualties will inhibit Israeli attempts to destroy these legitimate military targets): or on the Lebanese government, in which Hezbollah is represented, for its failure/inability (delete whichever does not apply) to regain control of the south of its country from Hezbollah and to disarm Hezbollah as required by the Security Council; or on Israel for inflicting the damage and killing the civilians, especially if you have evidence-based reason to disbelieve Israel's repeated claims to have attacked only military targets, including Hezbollah's re-supply logistics and communications, and to have done everything possible to keep civilian casualties to the minimum consistent with achievement of its military and political objectives. In practice no doubt all three have to share the blame, but in what proportions is a matter for, in the end, subjective judgement. Read as a whole, the Security Council resolution undoubtedly identifies Hezbollah attacks on Israel as the root of the problem, and the need to prevent it from resuming them as the principal aim of UN action. This reflects an analysis much closer to Israel's — and indeed to Lebanon's — than to Hezbollah's, Iran's or Syria's, or to that of Israel's more draconian critics in the West. It's also consistent with the Council's earlier resolutions. Of course it's possible and easy to attribute this perceptible slant in the resolution to the bargaining power of the United States in its role as Israel's patron and protector. But the resolution was adopted unanimously. It's intended to produce an outcome that's in sharp contrast to what would have resulted if those who were clamouring for an 'immediate and unconditional cease-fire' at the outset of the Israeli counter-attack had had their way. There's a useful paragraph-by-paragraph analysis of resolution 1701 here — followed by some dissenting comments. I've read Michael Hornsby's contribution and your response to it – at the bottom of your recent "Israel and that immediate cease-fire: Bush and Blair are right for once," – with great interest. I've taken the liberty of pasting my comments here because it's still really the same old discussion. Where you and Michael disagree I side with Michael; he's right to suggest that, if cutting Hesbollah down to size is really what this is all about, Israel's tactics are pretty pathetic and deserve to fail. In the short run Hesbollah will have lost a few of its members, but there'll be no problem replacing them and even, very likely, boosting their membership. And they'll have gained a lot more sympathy from outsiders. Michael's "blueprint" would never work, as he realises, nor would any other imposed solution. This is a dispute in which neither side thinks it's in the right. They both know they are. So how do we look for a reasonable settlement – that ignis fatuus which, as Michael says, seems to mesmerize all the other members of the chattering classes? First, we – Israel and its western democratic friends – must face the fact that there are one or two very good reasons why Israel is so cordially hated by most of its neighbours, and why this hatred has not diminished with time. We've drifted into a dreadful situation, and there's no possibility of a constructive discussion with the other parties involved unless we rethink our approach. We need to recognise and admit that the other side does have legitimate grievances; to try to do what we can – even if we can't do much – to redress these grievances; to be altogether humbler in our attitude and much readier to "settle for half;" and to do, and be seen to do, our best to hammer out a settlement that's fair to everybody involved. Obviously this won't be easy. It may not even be possible, or anyway not yet. But until somebody does something of the sort there's no future for civilisation in the Middle East. If we all carry on in the same old self-righteous, confrontational way, we must expect the misery and the chaos to keep on escalating the way it always has. If we do what we've always done we'll get what we've always got. Brian comments: My only slight difference with Michael, and with what you too say, depends on our respective judgements of Israel's chances of success in achieving its fairly limited objectives in regard to Hezbollah: fairly limited in the sense that no-one expects this crisis to open the way to a complete settlement of the problems of the middle east and Israel's place in it. You (and Michael, although I think you overstate his position on this) may be right in believing that Israel's campaign never had any chance of success, although I think you go too far in calling it 'pathetic', and I'm astonished to hear you say that it 'deserved to fail': do you really want to see Hezbollah strengthened and able to continue to escalate its attacks on Israel? I have no strong view either way on the prospects of success for Israel's counter-attack on Hezbollah, apart from noting that the Israeli military and political establishment are probably better placed than any of the three of us to make that assessment, and they judged that they had a reasonable chance of success. Moreover, as argued in my post of today (above), I believe that it's far too early to say with any confidence that either Hezbollah or Israel will definitely achieve its goals or fail to do so. On your more general points, John, I am not sure what specific changes in western policy you are advocating. If your call to "us" to be more humble implies that "we" — Britain? the US? the west in general? the Security Council? — have hitherto been arrogant, or that we have refused to admit that both sides in these interminable conflicts have legitimate grievances, then I would have to say that I see no evidence for that accusation. I believe that the main reason for Israel being hated by most (but not all) of its neighbours is that it's a non-Muslim state, established by western non-Muslims, on land that many Muslims regard as morally belonging to Islam. They hate Israel, those who do, because they regard it as a Trojan horse containing (if you'll forgive the mixed metaphor) the virus of western secular and decadent culture which is inherently antithetical to Islam and, if allowed to spread, will infect and contaminate their preferred way of life. In other words, they hate Israel because it exists. If this analysis is correct, it's hard to see that there's anything the west can do about it. We can continue to offer mediation and good offices and meetings at Camp David and UN special representatives to try to encourage settlement of other, lesser grievances such as the future of Israeli settlements on the west bank and the issue of east Jerusalem and what to do about the 'return' of Palestinian refugees, just as we have been trying to resolve the issue of the constant suicide bombings, rocket attacks, incursions into Israeli territory, killing or kidnapping of Israeli soldiers, and other 'legitimate grievances' on the Israeli side. But these efforts are all probably doomed as long as the central problem remains insoluble: there can be no durable and fundamental agreement as long as many of the principal players on the Arab and Muslim side refuse to recognise and accept in practical terms Israel's right to exist in secure and recognised borders. It's not arrogant or blind to face up to that unhappy truth. It's self-indulgent and self-defeating, though, to refuse to do so. "apart from noting that the Israeli military and political establishment are probably better placed than any of the three of us to make that assessment"
I would strongly disagree with that – they should be better placed, but military history is littered with examples of military and political leaders making terrible and really quite predicable errors of judgement, generally arising from clearly unfounded over-confidence in their troops ability to achieve an objective. 1) People tend to edit information to be more acceptable to their bosses. As a fact works its way up the chain of command, it will be repeatedly glossed to become less controversial to currently accepted thought. 2) People sub-consciously interpret a situation in line with their existing prejudices and desires. Note the recent experiment regarding party supporters reactions to Bush & Kerry’s election speeches. 3) There is an irrational tendency to overrate one’s own troops, similar to football fans belief in their own team, despite previous performance. The winning side will attribute victory to their own prowess, but will put defeat down to bad luck. 4) As you noted, if the Israeli government had decided not to fight back against Hezbollah on the grounds that it would be almost impossible to achieve a decisive victory, it would have been political suicide. Olmert had a very strong motive to deny the potential difficulties both to himself and publicly. 5) Generals who come back and say that, with all due consideration, the task is impossible with the available forces, are almost certain to be replaced by someone with a more ‘can-do’ attitude. Again the generals were unlikely to stick their neck out and point to the problems, even if privately they were worried. On a more specific note, there is a tendency to overestimate the effectiveness of air strikes compared to artillery and ground operations. I suspect that this stems from a desire to justify the very high cost of these weapons, as well as a wish to believe that the easy option (air strikes entail relatively little risk to the attacker), will be sufficient. Well prepared bunkers as used by Hezbollah can generally only be destroyed by literally a direct hit, and especially if their location is concealed to some extent then they are practically impervious to attack from the air. An example is the US experience at Khe Sanh in Vietnam, where very, very extensive bombing of a small area failed to destroy the majority of the VC bunker networks. With this in mind, I approached the Israeli predictions at the start of the war with extreme scepticism. I thought they would achieve more than they did, but so far it would appear myself and other ‘pessimists’ were a lot closer to the mark than the Israeli leadership. Regarding the number of civilian casualties at the hands of Israeli action. Earlier I had emphasied that this need to be understood on the basis of Hizbollah’s tactic of using them as shields against Israeli action. But it should also be noted that the number of total Lebanese death is small relative to the nature of the conflict. During the month of July 3430 (110 people per day) Iraqi’s were murdered by terrorists. This compares with 1000 Lebanese, both hizbollah fighters and civilians. Further, it should be remembered that in Iraq, the terrorist TARGET civilian hoping to kill as many as possible. Nevertheless Iraq is considered a low intensity conflict and the weapons used are low in sophistication compared to those available to formal military organizations. Given the sophistication and capabilities of the weapons available to the IDF, and in the context that the IDF was typically targeting a foe hiding in civilian areas, the 1000 dead is truely a low death rate. Further, Israel claims to have killed at least 580 Hizbollah fighter, and have named 180 of them. Given that the Lebanese death figures do not distinguish between combatant and non-combatant numbers we can assume that those 580 are, mostly, included in the 1000 dead figure typically cited. Thus total civilan (non-combatant) death in Lebanon hovers between 480 and 600. Every death is tragic. I, personally, find the killing of young children to be heinous in the extreme. I am not trying to minimise the tragedy of the Lebanon war, nor to excuse Israeli recklessness (when it occured), rather I am trying to demonstrate that on the whole Israel did not fight this war in a reckless fashion, and that accusation of Israeli war crimes are demonstrably exaggerated. I think you miss a crucial way in which Israel has lost here – although I agree that in terms of the fairly limited aims of the conflict, the outcome is as yet unsettled (not that the record of either Israeli occupation nor the presence of previous multinational forces gives much cause for confidence). It was unable to force a military victory – if Israel does get what it wanted from the conflict, it will be not because it was able to force its opponents to give it to them, but because the rest of the world couldn’t stand to see it carry on trying to force them to. That does serious damage to its military prestige, and as such, makes it likely, I’d guess, that various other groups ideologically opposed to its existence or current policies will redouble their efforts. war crimes are not limited to killing civilians – damaging infrastructure in such a way as to disrupt the provision of various vital services or failing to facilitate the access of aid organisations to civilians are for example also war crimes under the fourth Geneva Convention – and, indeed, a low casualty rate would not show that war crimes had not been committed, because war crimes relate not the number of deaths, but to their manner, i.e., whether they can militarily justified. The example that you used earlier, that a fairly restricted area of South Beirut has been destroyed, would only show that war crimes had not been committed, for example, if on-duty soldiers were billetted or militarily vital supplies were being stored in that area (roughly). My remark that Israel's tactics "deserve to fail" seems to shock you, apparently on the grounds that nobody could, or should, want to see Hesbollah strengthened. Yet what has what anybody may or may not happen to want got to do with his assessment of anybody's tactical skill? If I were a supporter of some football team – I know you like analogies – I might quite conceivably think its tactics were hopeless rubbish and yet still want my team to win, deservedly or not. You're quite right to point out that I put Michael's point more strongly than he did himself, and perhaps I owe him an apology. But the word I used was "suggest," and Michael's analysis suggested – pehaps unintentionally – to me that the Israeli top brass had no real idea what they were playing at. I would add that what Aidan has to say about this is spot on. By "we" I mean Israel and its western democratic friends. In practice this means Israel, Mr Bush and some of his flunkeys. Do you really need me to give you evidence that Mr Bush is sometimes less humble than he ought to be? Your attempt to explain why Israel is so cordially disliked by most of its neighbours seems to me to be inadequate and largely wrong. The first and most important reason for this hatred is the belief that the Israelis have no right to be there because their country was stolen from its rightful owners. We haven't yet managed to get the message across (how hard have we tried?) that even if this is true – and it's quite on the cards that it is – it would be just as wrong, indeed much worse, to try to restore the status quo today. I doubt if more than a quarter of Israel's inhabitants had even been born in 1947. If I were to acqire a Rembrandt that had been nicked from you in that year it makes pretty good sense for you to be have the right to claim it back today, and for your heirs to be able to claim it from mine more or less for ever. But you can't treat countries and their populations like that. This seems pretty obvious to you and me, and to the Israelis. I doubt if I'd find it quite so obvious if I were a dispossessed Palestinian. I don't have that kind of saintly magnanimity. The second main reason is that they think is Israel is a stooge of the United States. Who, they must sometimes wonder, pays for all these tanks and F16s? I find your explanation of this hatred unconvincing, and when you perorate that "They hate Israel because it exists," that looks to me like rhetorical froth. What on earth does it mean? I've tried to imagine what it can be like to hate something for no other reason than that it exists, and I don't seem to be able to manage. When people make statements like "They hate Israel because it exists," They hate our freedoms," or "They want to destroy our values," I get the feeling they're simply trying to demonize people who disagree with them. Or, to put it another way, this is the propaganda of the western democratic establishment. And when you talk about a Trojan Horse containing " the virus of western secular and decadent culture which is inherently antithetical to Islam and, if allowed to spread, will contaminate their preferred way," I'm afraid you're away with the fairies. I'm no expert on religions, but it seems to me that Islam's record on toleration doesn't seem all that bad. Before the coming-to-be of Israel there were Jewish comunities in many parts of the Middle East. As far as I can tell Jews and Arabs didn't get on too badly. Certainly much better than they do today. And if you visit a Muslim country like the Gambia, which hasn't yet been much affected by western democracies, you won't find much in the way of intolerance. Non-Muslims out there get as good a deal as Muslims do in England. I think John Miles has hit several nails on the head. The kidnapping of two Israeli soldiers was not the cause of the lastest Israeli invasion of Lebanon it was the trigger. The cause of the wars between Israel and its neighbours is the Palestinian dispossesion of 1948. Some 60 years later 750,000 refugees and their millions of descendants pass the time of day in squalid camps in Lebanon,Syria, Jordan, and the occupied West Bank. Their position seems hopeless . No wonder there are huge numbers of Muslims who feel there is no justice and hate Israel. Their hatred is fuelled by what they see as the double standards of the US and its client Israel. UN Resolutions which tried to bring some justice into the area i.e. 181,194,242,338,425, and476, were all ignored by Israel which is allowed a free hand by the US. As well as double standards there is double talk. The US aim of bringing freedom and democracy to the Middle East is not convincing looking back to its strong support of the Shah of Iran, its financial and military support of Saddam in his war against Iran, unwavering support of Saudi Arabia with its morality police. I can't see the faintest hope of a start to clearing this giant mess up until there is a more enlightened US administration prepared to keep at a distance the religious right, the Jewish lobby, the arms industry and the oil industry. Bring back the Ottoman Empire! Brian writes: Thanks, Michael. I have made some belated comments on this stimulating contribution in a separate Comment. Michael, it’s certainly the case that the root of the problem is the Palestinians’ and other Muslim governments’, countries’ and individuals’ refusal to accept the existence of the state of Israel as a fact of life, and to adjust their other aims and aspirations to that acceptance. Of course one can sympathise with their perception of the creation of Israel as what you call the "Palestinian dispossesion of 1948" and the multiple injustices and hardships that resulted from it (some but by no means all of them attributable to the Israelis). The trouble is that the Palestinians’ consequent sense of victimhood and unshakeable belief in their right to all kinds of compensation and restitution for what happened well over half a century ago, before most Israelis and Palestinians now living were born, get fatally in the way of facing up to the realities of 2006 and seeking realistic solutions to their actual problems. The difficulty is compounded by the conviction of very many Israelis that they, not the Palestinians, are the real victims, not only of constant Arab attacks on Israel ranging from individual suicide bombings to full-scale military invasions, victims not only of the proclaimed intention of most of their neighbours to eradicate their state from the map, but also victims of the persecution of Jews for centuries all over Europe, culminating in (but not confined to) the Holocaust. And just as the Palestinians believe in their historic and religious claim to the whole of the land now ‘occupied’ by Israel, so do religious Israelis believe in their own stronger claim to that land, based on both history and the Old Testament. And rational argument confronted by religious conviction doesn’t get anyone very far. This fundamental conflict over the original rights and wrongs of the creation of the state of Israel undermines any possible foundation for a modus vivendi between Israel and its neighbours. You quote the UN resolutions calling for Israel’s withdrawal from [the] occupied territories and denounce Israel’s failure to implement them, but they stem from resolution 242 which imposed parallel obligations on the Palestinians and Israel’s other neighbours which they too have failed to implement. Resolution 242 plainly envisages implementation by both sides pari passu, and aiming all the blame at one side for failure to implement it, rather than at both (or, better still, resisting the temptation to blame either side) doesn’t really help. I’m not ‘blaming’ the Palestinians and their allies for their perfectly understandable feelings about the planting of a Jewish state on what they regard as their own rightful land; I simply observe that those feelings, matched by comparable feelings on the part of the Israelis, remove any basis for a settlement between them for as long as such feelings persist. It’s reasonable to ask the Palestinians and their backers to give up their ambitions to destroy Israel, as 242 requires them to do. It’s not reasonable to ask Israel to give up its determination to survive as a state, which no UN resolution has ever required them to do. Of course Israel should withdraw from illegally occupied territories: but do you seriously think that such withdrawal would pave the way for Hamas, Hezbollah, Iran or Syria to drop their declared objective of eradicating Israel from the map? The experience of Israeli withdrawals from Lebanon and Gaza is hardly an encouragement to any such hopes. You say that you can’t see any hope of a start to clearing up the mess "until there is a more enlightened US administration prepared to keep at a distance the religious right, the Jewish lobby, the arms industry and the oil industry": but what would such an ‘enlightened’ US administration actually do to begin to solve what will remain an insoluble problem so long as one side refuses to acknowledge the other side’s "right to live in peace within secure and recognized boundaries free from threats or acts of force"? Try to bully the Israelis into acquiescing in constant attempts to destroy it, passively waiting while one of its most virulent enemies develops a nuclear weapon, never using its own military resources to defend itself? How would a democratically elected Israeli government that yielded to such pressure, even from powerful Washington, hope to get itself democratically re-elected? The US role as Israel’s patron, sponsor and funder gives Washington only limited power to determine Israeli policies, even if there were policy alternatives available to Israel that would begin to resolve the conflict (which I’m afraid there aren’t): in some ways Washington is as much the prisoner of Israel as the other way round. Incidentally, I think it’s misleading to refer, as you do, to "the Jewish lobby" as a factor in US government policies in regard to Israel: Mearsheimer and Walt in their famous LRB article have shown that there’s an influential "Israel lobby" in the US which is by no means exclusively or even predominantly Jewish. Many thanks for recommending the "famous LRB article ," as you do towards the end of your reply to Michael H.
There are two bits which I think are worth drawing to everybody's attention, even though it may be I'm the only one who isn't familiar with them already. Israel receives about $3 billion in direct assistance each year … worth about $500 a year for every Israeli. This largesse is especially striking since Israel is now a wealthy industrial state with a per capita income roughly equal to that of South Korea or Spain. If this is true, and if I've used my calculator correctly, we'd get about a hundred and fifty billion pounds if we were funded at the same rate. Brian comments: The Mearsheimer-Walt article in the LRB is of course a sustained and effective polemic that seeks to demonstrate the malign effects on America's national interests of its one-sided commitment to Israel, in part because of the pressures subtly exerted by the Israel lobby (by no means exclusively consisting of American or other Jews). The article has generated an enormous amount of debate and many attempts to demolish its arguments, with varying amounts of success. So it's very easy to single out quotations from Mearsheimer-Walt to the detriment of Israel, just as it's equally easy to find quotations in any of the many responses to Mearsheimer-Walt to the detriment of the Palestinians and their Arab and other Muslim champions. Neither approach seems to me to encourage a reasonably even-handed view of the conflict which seeks to understand how the arguments appear through the eyes of both sides. Point-scoring against one side or the other doesn't get anyone very far. David Ben-Gurion. whose words you quote from the Mearsheimer-Walt article, has been dead for more than 30 years and it is more than 40 years since he was prime minister of Israel. The quotation demonstrates that at least one Israeli leader has had a good sympathetic understanding of the Arab viewpoint; it would perhaps be more difficult to find evidence of a similar understanding of the Israeli viewpoint on the part of Palestinian (or Hamas or Hezbollah or Iranian or Syrian) leaders. Mutual understanding is however only a necessary, not a sufficient, condition for the development of agreement on a modus vivendi between them. Yes, yes, yes, all the judgments made in that LRB article are obviously just as contoversial as any of yours or mine. But my quotes were both purely factual. Does anybody think they made up the remarks they attribute to Mr Ben-Gurion? Are they lying when they say the States gives Israel all that money every year? Brian points out: The issue is not whether the quotations are factual, or factually correct, but that they are (inevitably) selective. None the worse for that, but obviously a different selection of quotations and facts from different sources would cast aspersions in a different direction. Let’s see a different selection of quotations and facts from different sources. When you said it’s "equally easy to find quotations … to the detriment of the Palestinians and their Arab and other Muslim champions," I couldn’t help thinking it might prove to be a more difficult task than you seem to expect. I’m assuming such quotations would more or less stand up to reasonable criticism.